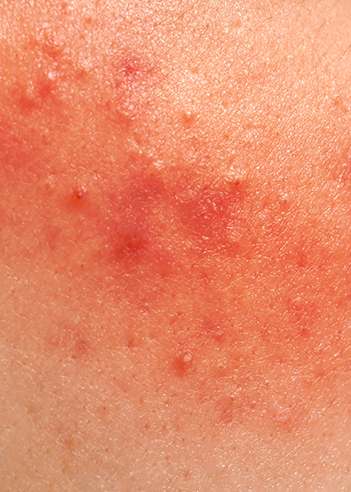 A rash is a noticeable change in the texture or color of your skin. Your skin may become scaly, bumpy, itchy, or otherwise irritated. Also, skin rashes can occur from a variety of factors, including infections, heat, allergens, immune system disorders and medications. One of the most common skin disorders that causes a rash is atopic dermatitis (ay-TOP-ik dur-muh-TI-tis), also known as eczema.